In a week of FAI statements, this could be the most explosive one to date! It has been confirmed in the last couple of moments that John Delaney has stepped down as Chief Executive of the Football Association of Ireland. He will still remain with the Association, however, assuming a different role within its hierarchy. He will continue in a new position of Executive Vice President, as part of a restructuring to the FAI management structure. On behalf of the Board and the members of the Association I want to thank John for everything he has done for the FAI and for Irish football. He has transformed how we operate as an Association. This new role will allow John to utilise his vast experience and connections in the world of football and will best serve the FAI as we look to the future and our new strategic plan for Irish football which is currently a work in progress. John will continue to represent us at UEFA level as we look ahead to next year when the Aviva Stadium will host four games at the EURO 2020 finals thanks to his influence at European level. It has been my absolute pleasure and privilege to have served the Football Association of Ireland as CEO since 2005 and I would like to thank all the staff and everyone involved in Irish football for their support and assistance in that time. This new role is one that really excites me. For some months now, I have been talking to President Donal Conway, the Board and members of our senior management team about redefining the most senior management roles at the Association. I am very proud of my work as CEO with the FAI. Since I took up the office we have improved how we operate as an Association. "This past fortnight has been very difficult for me on a personal and professional level and I would like to thank the Board and my work colleagues across the FAI for their support. In recent days I have received many messages of support from the family of football, from many of the 2,000 clubs I have visited in my role as CEO and from the world of politics and sport which I am grateful for. “It is time now for a new start and I am really looking forward to serving Irish football as best I can as Executive Vice-President." Mr Delaney has been the subject of scrutiny this week after failing in a bid to gag the Sunday Times from publishing a story last weekend that pertained to the 51-year-old providing the Association with a €100,000 'bridging loan' to help with "a short-term cash flow issue". 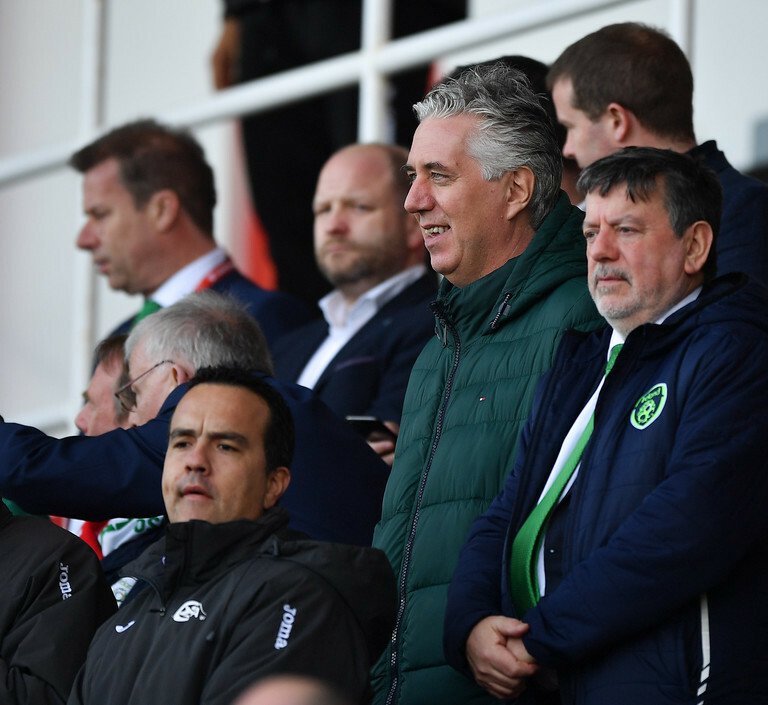 Subsequently, the FAI have released six statements in as many days, in relation to the situation, the last of which detailed an offer by the Association to bring forward a meeting with the Oireachtas Committee on Transport, Tourism and Sport. However, in a statement released by the FAI offices in wake of Ireland's 1-0 win over Gibraltar this evening, it has been confirmed that Delaney has now stepped down from his role and will take up a new position.